There is so much water running under the covered bridges of Linn County that it’s no surprise when you cross paths with some real whoppers at the Roaring River Hatchery in Scio. Here the rainbow trout tip the scales at 15 pounds. 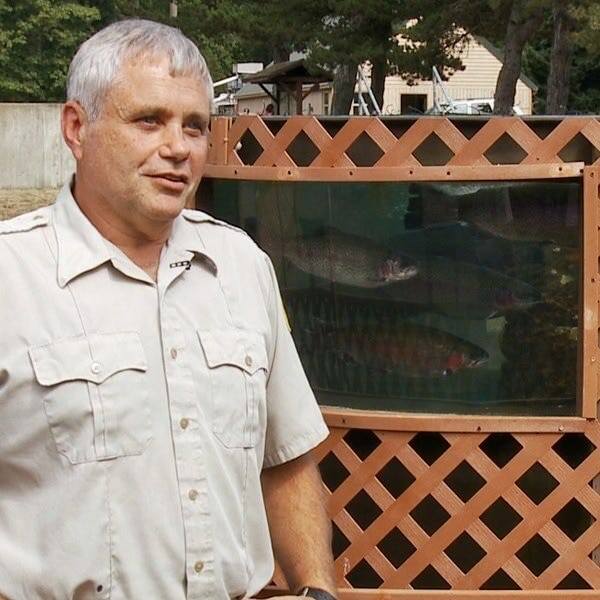 Roaring River is one of several facilities run by the Oregon Fish and Wildlife Department that raise more than a million trout to be stocked at lakes and ponds across Oregon. 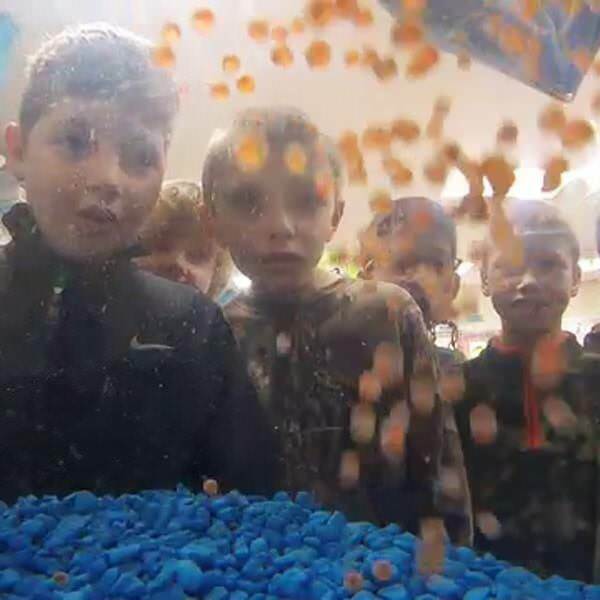 In fact Roaring River’s super large rainbow trout produce so many eggs that something extra special happens to the surplus eggs — they go to school! “While [students] are on site, it’s an ideal place to educate them,” says Tim Schamber, manager of Roaring River Hatchery. This continues beyond the hatchery and into the classroom. Each spring, thousands of the surplus trout eggs end up in the hands of dedicated volunteers like Leroy Schultz and other members of Association of Northwest Steelheaders, a nonprofit sport fishing and conservation group. The fish are the foundation for class assignments in writing, science, vocabulary and math. They even inspire iconic art projects that involve Banks High School students. Wood shop teacher Tim Eggleston guides his high school students to create a school of rainbow trout cutouts from a sheet of plywood. Several weeks later, it is moving day as each student fills a bag with water and their fish. The kids, their parents and the fish travel together aboard a school bus to Scoggins Creek, a small stream that flows into Henry Hagg Lake in Washington County. 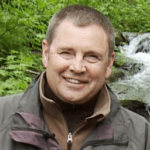 “Water’s important to all of us and to the fish — especially cold, clean water. This reinforces that message,” says Schultz. “By taking care of the fish and releasing them into this stream, it’s a lesson and important experience for them. 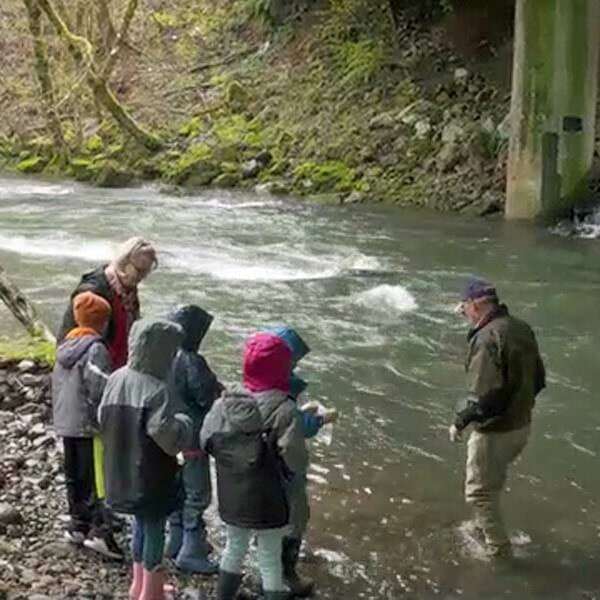 2017 marks the 23rd anniversary of the Fish Eggs to Fry program, so thousands of Oregon youngsters have had a chance to learn about aquatic ecology and develop ownership in Oregon’s great outdoors. 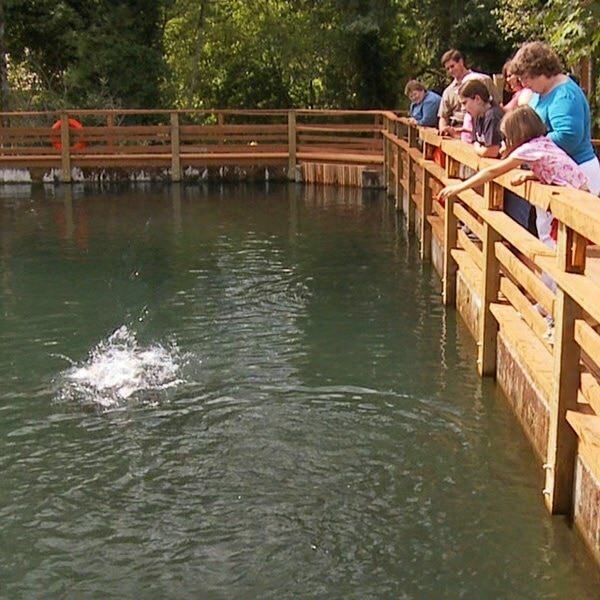 The Oregon Department of Fish and Wildlife Department offers programs that many schools can tap into for valuable educational opportunities like Fish Eggs to Fry. Contact the Association of Northwest Steelheaders for more information about how your classroom or school can get involved in the program.